It is time to think about these things in quietness again. 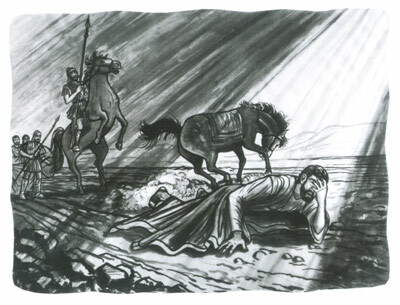 “As for Saul, he made havock of the church, entering into every house, and haling men and women committed them to prison.” Paul went out causing many of the saints to flee and fear for their lives… Entering into their houses! Attacking families and haling them to prison. Why is it that nobody stopped him? Don’t we have the right to stop someone that would break into our homes, intending harm for our families? Just read these verses last night during our family worship. Thank you four posting. You’re welcome, pilgrim316! Good to have you here – enjoy your Lord’s day tomorrow!